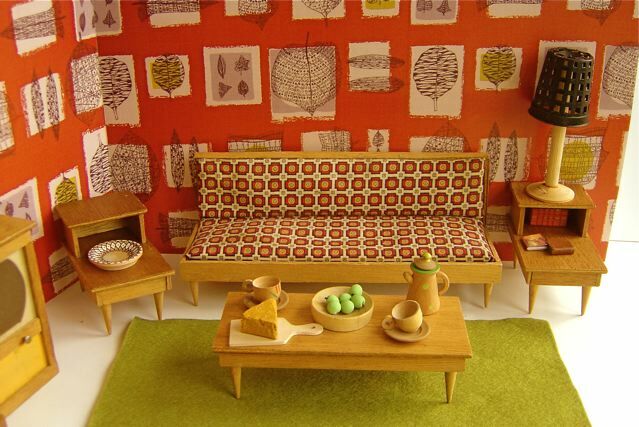 SOFA, CHAIR AND TABLES: Archetypal items with the fashionable tapering, spindle legs so popular during the 1950's-1970's. These were made by Arco, a Hong Kong-based division of Mattel, which was active in the late 50's. 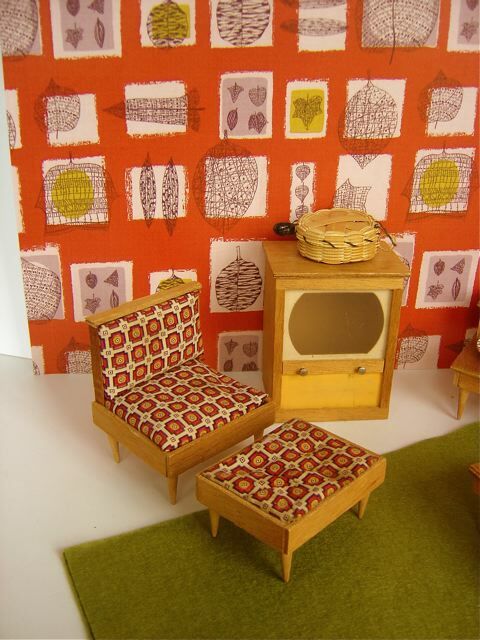 These are quite rare pieces, and it is most unusual to find the set, complete with ottoman and tv! On the coffee table sit a range of turned wooden pieces including a green-spotted coffee pot, cups, saucers, bowls and cheese board. There's also a beautiful, geometrically-painted bowl on one end table (please see the close-up photo) - the other one holds some books. 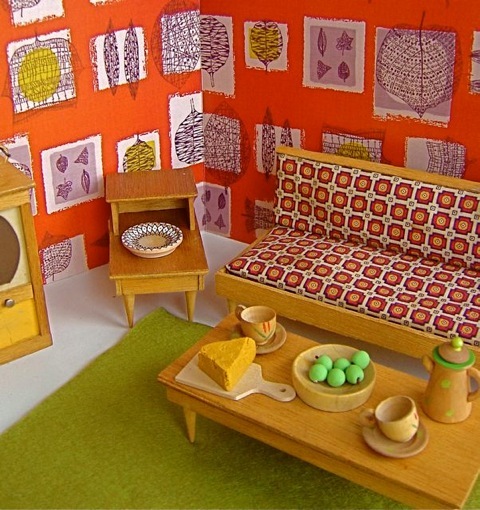 Sparky, the dog, comes with this sitting room. LAMP: A handmade lamp with plastic shade. RUG: Hand-made from two pieces of olive green felt. WALLS: Covered in wrapping paper featuring a vintage textile print, designed by Lucienne Day, and printed by Edinburgh Weavers in 1952. It has been mounted on two A3 pieces of 5mm thick foam board. Each piece of foam board measures 42 x 29.5cm or 11 5/8 x 16 3/8in. 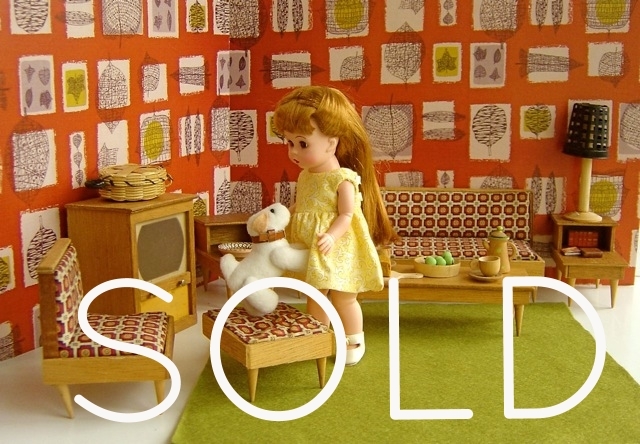 DOLLS: Chosen from our selection of vintage dolls. Shown here, a Madame Alexander doll with the unusual feature of long, brush-able hair. Note that there are lots of other clothes available for these dolls - please see the CLOTHING section of our website for an idea of what is available.